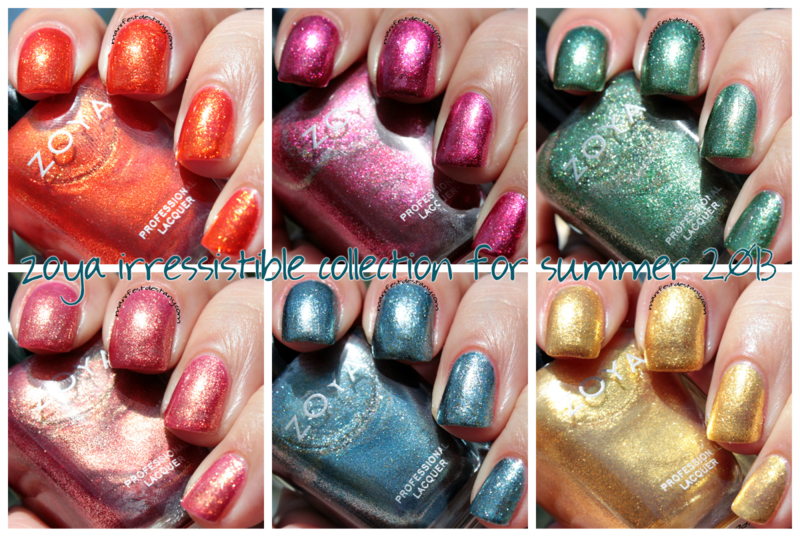 Zoya Irresistible Collection for summer 2013! 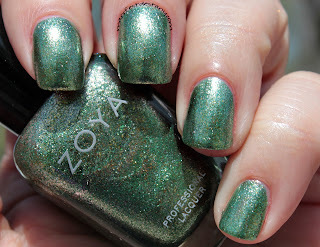 Today I bring you the Zoya Irresistible collection! 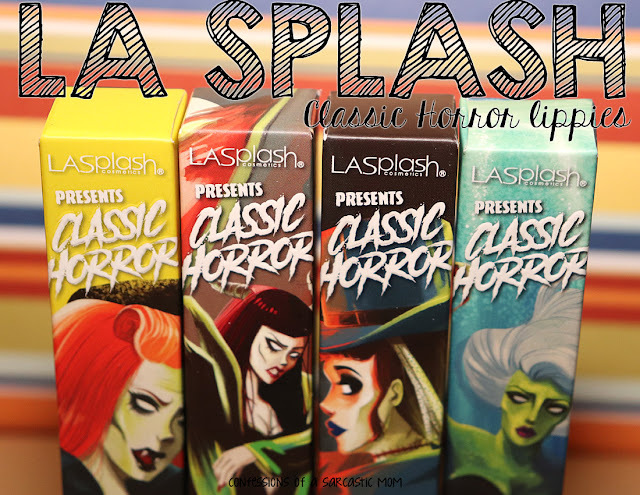 This collection is packed with foil metallic shimmer! I'm not the biggest fan of metallic or foils, and I totally don't like photographing them! It's not that I dislike foils or metallics. I think they are quite beautiful and so shimmery in the light! It's just that photographing them is a pain in places better left unmentioned, and removal is, well, to keep this PG, HORRIBLE. Yes, CAPLOCKS HORRIBLE. It's that bad. The ultra fine shimmery substances are like shimmer herpes - they spread and spread and spread. Check out individual photos after the cut! Amy is first up, with all her shimmery orange-y glory! She is truly amazing, and totally my favorite of this collection, which should come as no surprise! It's very fiery and bold - a truly beautiful color :) I do have it up for comparison with a few other polishes, so be on the lookout of that post soon! 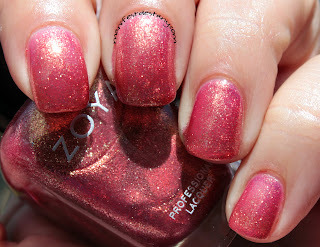 Bobbi is a very pretty berry-toned metallic. Very magenta - and so close to being a one-coater! If I'd applied this correctly it would have been. but I went too thin on the first coat. Rikki is a nice forest-y green metallic - very shiny. I see hints of a goldish brown thrown in here and that just gives the color so much depth! Tinsley is the name of my friend's daughter! 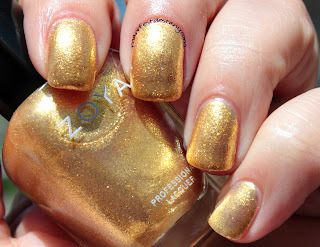 I'm almost certain that she's the one who suggested the name to Zoya way back when heheh It's a rose gold metallic. The formula was a little this on this one. It needed three coats rather than the prerequisite two on all the other polishes. Hazel. Ahh Hazel. She's like the blue equivalent of Rikki. There's that hint of goldish brown in the metallic that just hints at a deeper finish. This one is really super pretty in the sun - and I bet it would bring out the hints of goldish brown if it was worn as an accent nail with a chocolate-y brown. Kerry - the only one of the collection that I really wasn't into. Until I put it on. 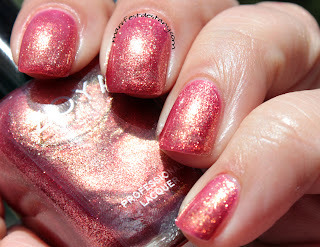 It's not a polish I could wear all the time, but it certainly spiced up my nails when I wore it! It's just so blingy. So utterly swank. And there you are! 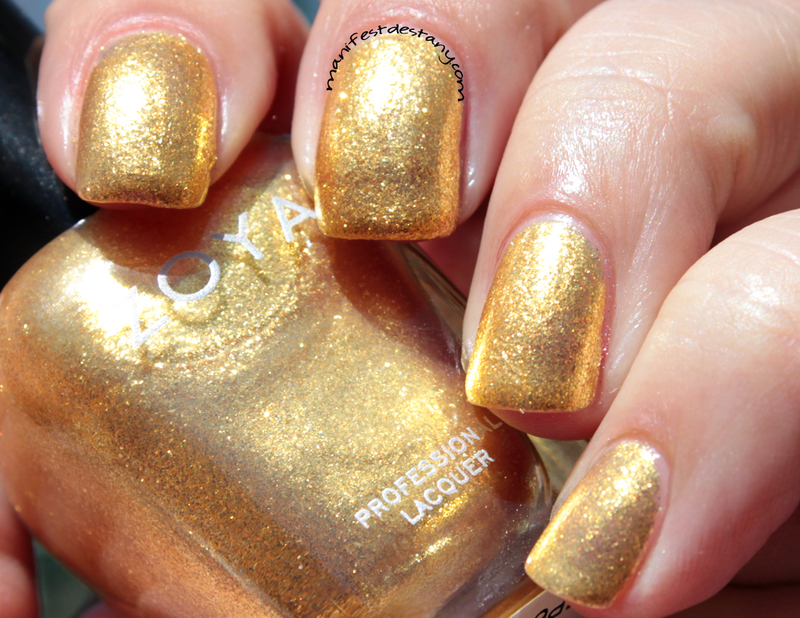 All 6 polishes in the Zoya Irresistible Collection for this summer! See any that you like? Any you have to have? 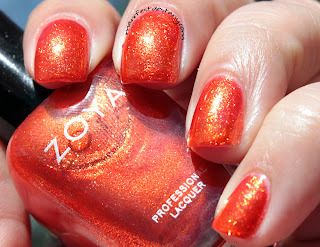 Well, you can get them from Zoya.com for $8 each or $48 per set. 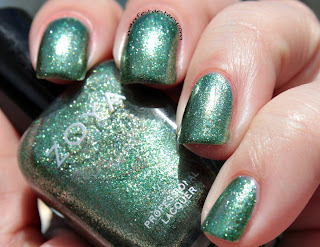 Zoya.com currently only ships to the United States, but they have been saying for a while that they are working on international shipping. Hopefully that comes to fruition sometime soon! 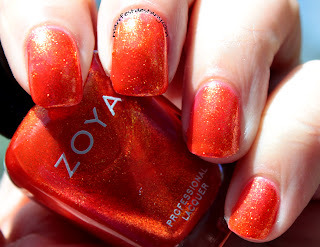 I know a lot of international gals who really want to get their hands on Zoya polishes! These polishes are also sold at Ulta and, in some markets, Whole Foods.